If you have been following along since I first started my business four years ago, you know that I get a lot of nursery inquiries. One of my very first projects in Dallas was a nursery! Over the years I have noticed a common request amongst most of my clients, especially first time moms, and that is to keep the design “gender neutral.” If you’re like me, the word “neutral” when referring to design is a total buzz kill. I immediately think beige everything. I don’t mean to offend you if you happen to love beige because I love an awesome monochromatic room, but it can be a bit pricier because texture becomes everything in that case. 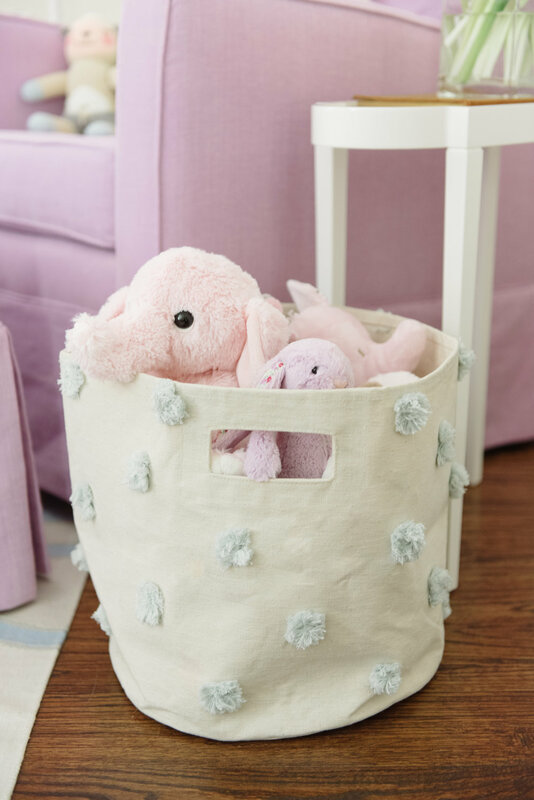 All that to say though, a "gender neutral” nursery doesn’t mean zero personality, it just means that you don’t want to force a specific personality on the space. I have found that we can still be bold in our color choices and each piece can go in a million different directions depending on the smaller accessories you pair with it. 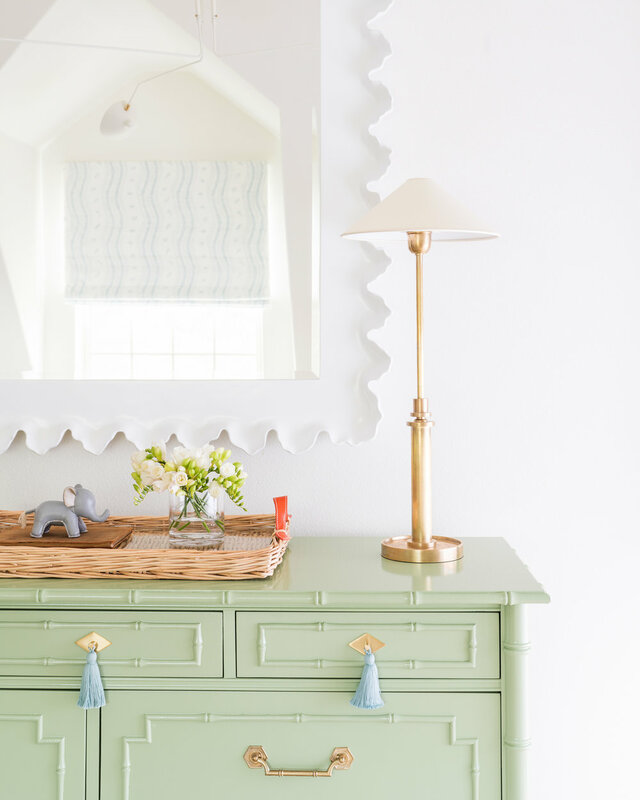 In the nursery that we are featuring today, our client inherited a vintage Hermes scarf from their grandparents, which inspired our classic blue and green color scheme. We designed this nursery for a little boy, but as you can see, we photographed my design parter’s daughter in the space. 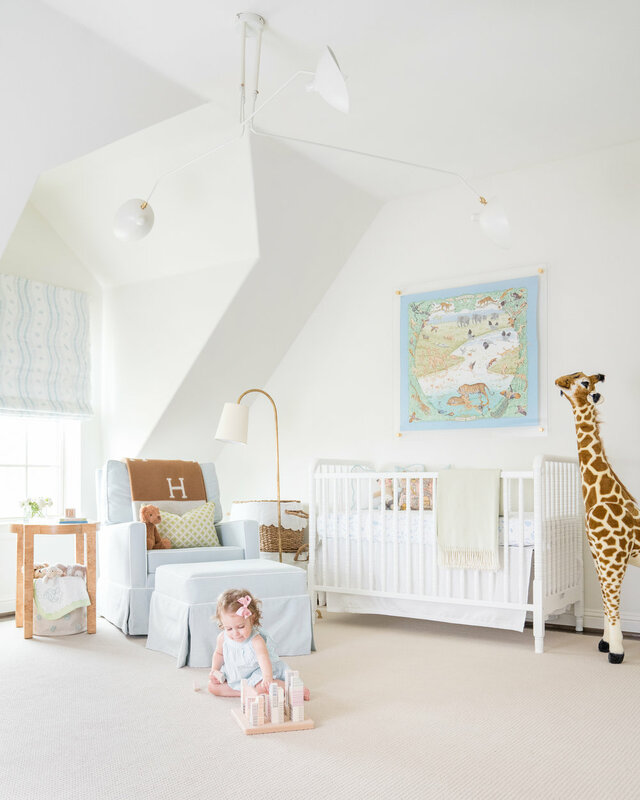 This is a perfect example of a gender neutral nursery that is anything but boring! It’s soft and sweet, but doesn’t lack character or personality.